When a magazine like Guitar Player deems your fretwork and skills good enough to be hailed as one of the best guitarists on the planet, you have to believe it. 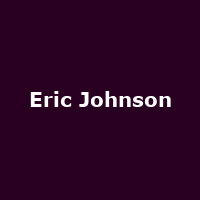 Yet Eric Johnson remains something of an enigma in the UK, despite this type of accolade and winning a Grammy in the early '90s. Originally with one foot in the blues and the other fairly and squarely in rock (Clapton, Hendrix, Chet Atkins - all formed part of his formative playing years), Johnson leapfrogged creatively from one band to the next and from session to session for the likes of Janis Joplin and Christopher Cross, before grabbing the attention of Warner Music, who duly released the album "Tones" in 1987. A Grammy nomination quickly followed for the track "Zap", surpassed in 1990 by actually winning one of the blighters for the track "Cliffs of Dover". If you've played the console-game "Guitar Hero III", you'll have mock-rocked to it at some point. Having become something of a go-to guitarist for so long, as well as a mainstay on Joe Satriani and Steve Vai's G3 touring band, the art of making albums for Johnson slowed down to a snail's pace - his most recent set, "Up Close", appeared 5 years after the previous one, which was a few years after the last, and so on and so on. With Steve Miller and Sonny Landreth as guests, "Up Close" maintains Johnson's instrumental rock touch with aplomb and it's this, plus newer tracks, which are bound to make up the setlist for his upcoming UK tour. Stops on his 2013 tour will include Shepherd's Bush on 3rd April, Harrogate on the 4th, followed by Edinburgh, Manchester, Birmingham and Salisbury so far. We will have tickets available from 9am on Friday 28th September, priced from around £25. Tue 23rd Apr 2019 John McLaughlinBarbican (City of London)More Info..